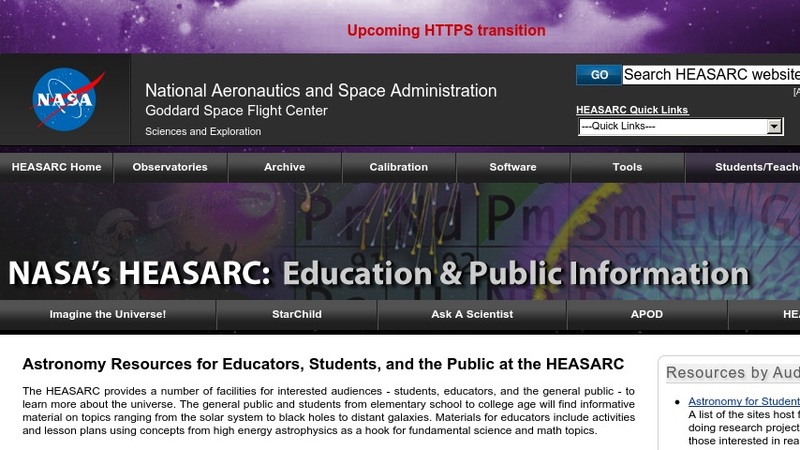 "The HEASARC provides a number of facilities for students, educators, and the general public to learn more about the universe. The general public and students from elementary school to college age will find informative material on topics ranging from the solar system to black holes to distant galaxies. Education materials for teachers include activities and lesson plans which use concepts and data from high energy astrophysics in interdisciplinary lessons appropriate for math and science classes. Scientists will also find materials and images for their use in presentations before a variety of audiences."